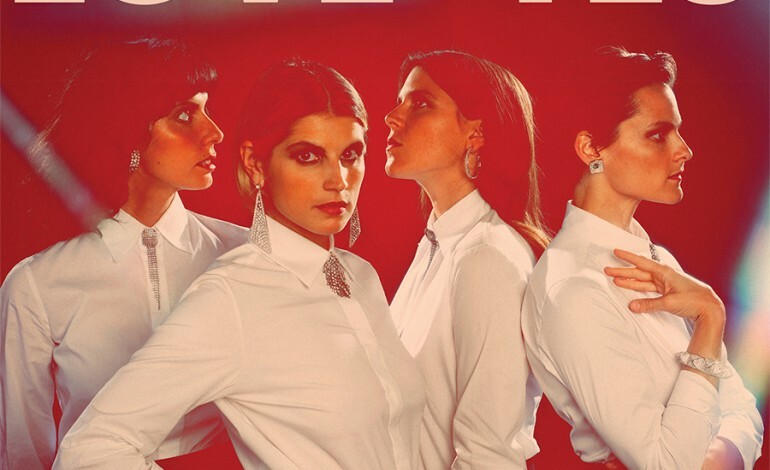 If one goes to bed at night with the feeling of overwhelming anxiety and despair caused only by the dread of music never returning to the sound of 80s-inspired synth pop, rest easy, because one may find their hope restored by the band TEEN. This Brooklyn based band’s newest album, Love Yes, churns out tunes that may sound fun and harmless, but after paying close attention to the lyrics, the complexity of this record reveals a much more dour, but convivial nature. The fascinating thing that this band does is tricking the listener into thinking one is simply listening to fun pop songs drenched in happy sounding synths and drum machines. The songs are, however, despondent and the sagacity that TEEN imbue their lyrics with is fascinating. The intelligence and cleverness behind the lyrics is apparent beginning with the first track. This record does not bother to ease one into the enjoyable, intellectual rollercoaster one is about to experience. Instead, it begins with “Tokyo.” A song that starts off with a synth heavy pulse before exploding into a sound most resembling the music from a videogame and complemented by lead singer Teeny Lieberson’s vocals. One is then transfixed by the harmonies along with the hypnotic repetition of lyrics. It is a song saturated with perfect harmonies and complex vocals along with catchy refrains that will have one singing along in the car with all the windows rolled down. Only then, will one realize what they are singing along to. No, not songs about breaking up with boyfriend after only dating him for two weeks, but songs that express anxiety and self-doubt. They are real songs about real emotions and fears. If one is looking for a band that will remind them of great songs from the 1980s, without a doubt give TEEN a listen, but be prepared to encounter something so much more than just a catchy tune. TEEN produces music that is stunning yet accessible, dark, but effervescent. Listening to this record is not just an enjoyable experience, but one where the musicians empathize with the listener and one is fully existing within the realistic sphere of the band.